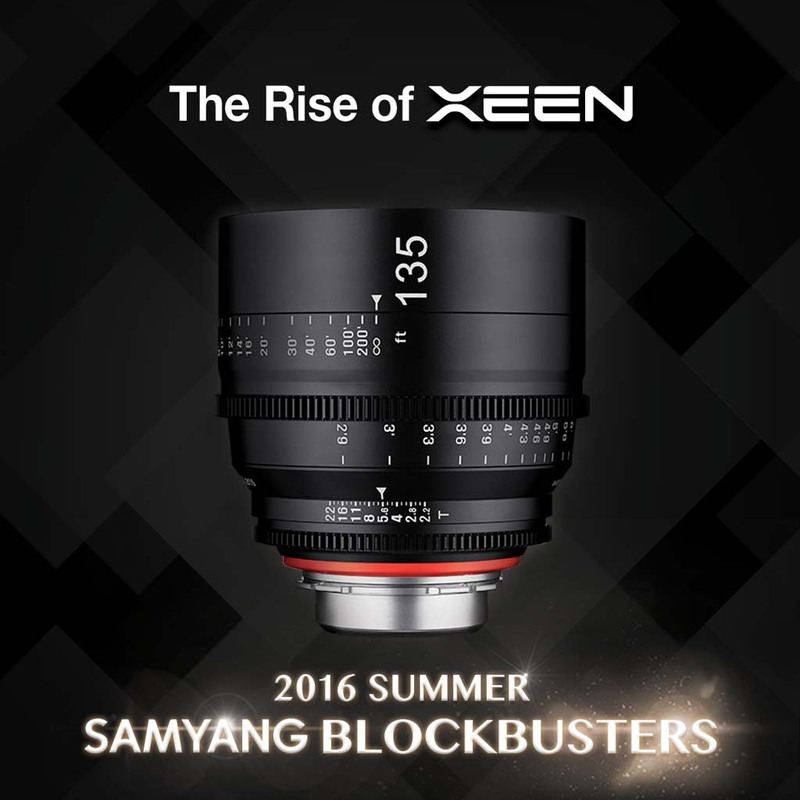 The global optics brand, Samyang Optics (http://www.samyanglens global.com) announced the release of XEEN 135mm T2.2. Along with the existing five lenses of 14mm T3.1, 24mm T1.5, 35mm T1.5, 50mm T1.5 and 85mm T1.5, XEEN 135mm T2.2 offers outstanding image quality from resolving power for 4K+ production for filming video and cinema. The 24mm x 36mm negative size allows XEEN to not only work with full frame cameras, but also with Super 35, APS-C and APS-H cameras. The lenses are available in five different mounts – PL, EF, F, E, and MFT and two different focus scales – metric and imperial units. Also, the aluminium metal housing is known for its reliability in various shooting conditions. The new XEEN 135mm adds telephoto angle to the existing XEEN set, enabling to capture the sincere emotions and details of characters in films and videos. Also the bright T2.2 offers high quality footage with clear contrast and impressive colors, even under less-than-optimal lighting conditions. The large aperture also creates a pleasing bokeh effect for a cinematic look. Moreover, Samyang has announced to release a total of five lenses throughout five weeks as a 2016 Summer Samyang Blockbuster campaign starting from XEEN 135mm. The other four lenses will be announced on every Monday from July 25th to August 15th. This entry was posted in 3rd Party Lens and tagged Samyang, Samyang XEEN 135mm T2.2, XEEN 135mm T2.2. Bookmark the permalink. Trackbacks are closed, but you can post a comment.